Are you considering getting a psychology degree, but don’t quite understand what you can do with it? There are a few options available, one being to become a counseling psychologist. Counseling psychology is concerned with the assessment and treatment of mental illness, psychiatric problems, and abnormal human behavior, as well as everyday human problems. 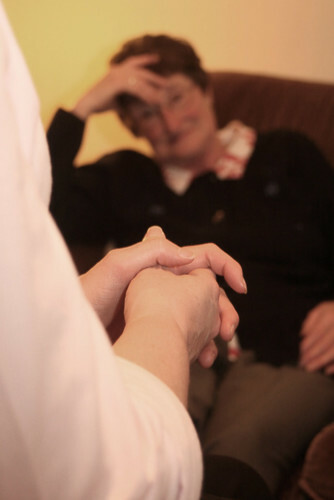 As a counselor you would be responsible in helping patients cope with their problems, in addition to treating them. The job entails more responsibilities than this though and today, this is one of the most popular fields within the psychology profession. What is the Work Setting of Counseling Psychologists? According to The Bureau of Labor Statistics, in 2010 psychologists held about 174,000 jobs in the United States. About 34% were self-employed, 29% worked in educational services, and 20% worked within healthcare settings. Jobs are still growing though; as more “Baby Boomers” enter the elderly stage of their lives, the need will increase for counselors to help these individuals address concerns they may have, which make now the perfect time to get involved in this profession. There isn’t just one way to do counseling. Some psychologists work independently within their own private practice and are able to set their own working hours. This is many times the most lucrative route in the profession, but you can also work in group therapy clinics, with social workers, or are part of a healthcare team. Sometimes counselors work within school settings, with either children or college aged students. It all depends on what your preference is, as a PhD can open up a wealth of routes to pursue. Counselors fill a wide range of needs, so figuring out what you would like to do and what you’re good at is important to succeeding because you can often cater your skills and desires to what is needed in the field. While this may require relocating and a tweaking of a career path, this degree still provides the freedom to go about the profession how you would like. What do Counselors Typically Do? Health Counseling Psychologists: As a health psychologists, you would study how psychological factors affect health and illness. Often you will educate both patients and medical staff about psychological issues if you pursue this route. Additionally, promoting healthy-living strategies and investigating health issues may be some of your responsibilities. There are a wealth of areas you could work in and commonly counselors will work in substance abuse, teenage pregnancy, or mental illness. Counseling Neuropsychologists: As this type of psychologist you would study the relation between the brain and behavior, typically working with patients who have a brain injury. This will also see an increase in jobs as “Baby Boomers” look to work through brain-related problems they may be experiencing. PhD in Counseling Psychology PhD in Educational Psychology PhD in Social Psychology Walden University › Walden University is one of the most popular schools for students pursuing online graduate degrees. Walden was founded in 1970 in Minneapolis, Minnesota and is now one of the largest online schools in the country. Walden has PhD programs in Counseling, Educational, and Social Psychology available online that can help you further your career. PhD in Psychology PhD in Health Psychology Northcentral University › While Northcentral University offers programs from the bachelor education level on up, its online graduate degrees are what distinguish it from many other schools. NCU is an accredited school in Prescott Valley, Arizona and was founded in 1996. It offers online degrees like the PhD and MA in Health Psychology. PhD in Psychology: Cognition and Instruction PhD in Psychology: Performance Psychology Grand Canyon University › Grand Canyon University is one of the few accredited schools offering PhD programs for Cognition and Instruction Psychology and Performance Psychology online. While this program can be taken by anyone who has met the enrollment criteria, it is ideal for someone looking to cut down on commuting or childcare expenses or balance their education with busy work schedules and responsibilities. PhD in Business Psychology: Consulting PhD in Organizational Leadership PhD in International Psychology Chicago School of Professional Psychology › Chicago School of Professional Psychology has helped prepare students for jobs by taking a practical, hands-on approach to learning. This accredited school was founded in 1979 in Chicago, Illinois and now serves over 4,300 students with campus and online programs like the PhD in Business Psychology Consulting and Organizational Leadership degrees. PhD in Counselor Education and Supervision Liberty University › "Liberty University’s Doctor of Philosophy in Counseling (Ph.D.) — Counselor Education and Supervision online program instructs students in advanced teaching and counseling skills. This program is ideal for those interested in program evaluation and advanced research methods, and who also want to expand their career options." MS: Psych - Applied Behavioral Analysis Purdue University › When you enroll at Purdue University, you are gaining access to one of the country’s largest educational networks - over 70 campuses, almost 200 programs to choose from, and a student body of more than 50,000. Purdue was established in 1937 and now offers several programs online like the MS in Addiction Psychology or Applied Behavioral Analysis. PhD in Counseling Psychology PhD in Educational Psychology Andrews University › "Andrews University is the flagship educational institution of the Seventh-day Adventist Church, including the Seventh-day Adventist Theological Seminary, College of Arts and Sciences, School of Business Administration, School of Education, College of Tech." PsyD in Clinical Psychology PsyD in School Psychology Argosy University › "In our Doctor of Psychology in Clinical Psychology program, our central goal is to prepare you to become a competent, valuable contributor to the field of professional psychology. Our program’s strengths include our commitment to student learning and mentoring, our diversity among faculty and students, and our focus on clinical practice." Q: How long does it take to become a Counselor? A: Master’s degrees can take up to 2 years to complete, but additional experience is required.